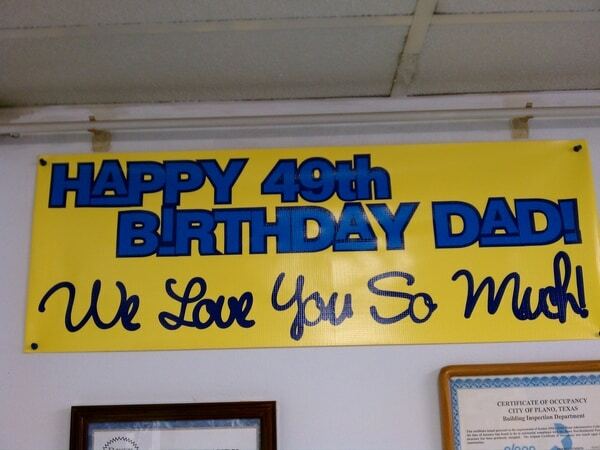 When you’re looking for a custom banner company you can depend on, look no further than Signs By Randy. 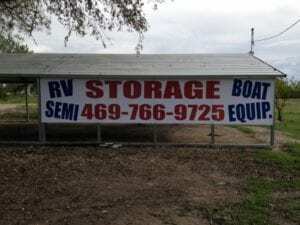 Our family owned and operated business has been providing custom banners and other outdoor signs for customers in the Plano area for over 30 years. Whether you need help coming up with a design for your banner or you already know how you want it to look, we can help. Our custom banners are available in different shapes and sizes, so you can choose one that works best for your business or organization. 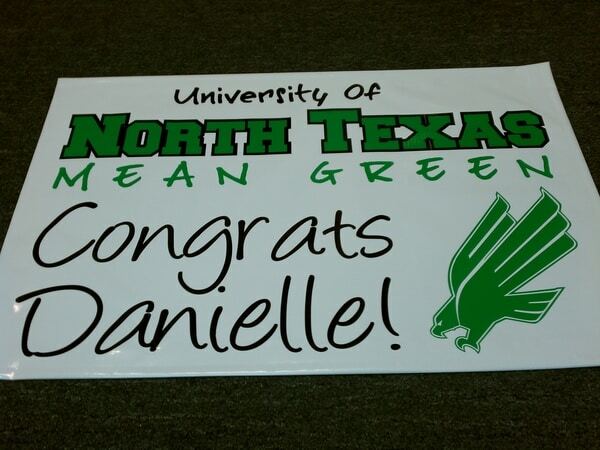 All of our custom banners are made from high-quality material. You can use them for a one-time purpose, or you can store them away and use them again several months later. 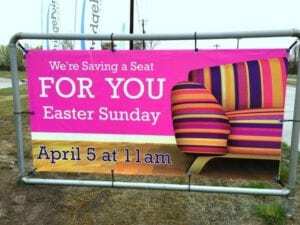 You can also keep our custom banners displayed for weeks or months at a time since they’re made to last. 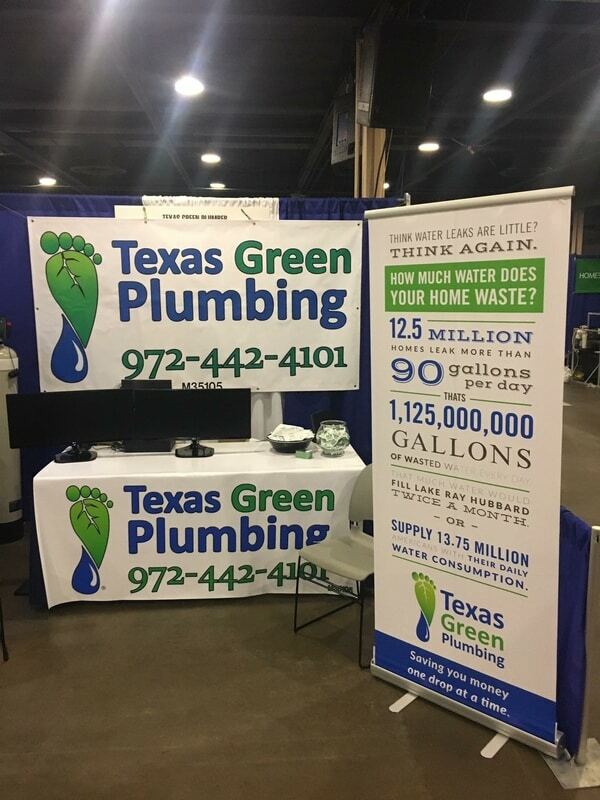 We can provide you with fast service while still ensuring that you get the custom banners you need to advertise your business, make special announcements about events, or use for other purposes. 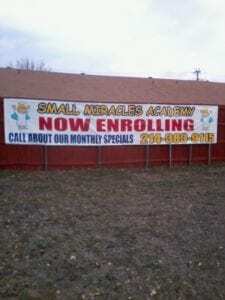 Using banners for your business or organization provides a cost-effective way to draw attention to what you’re offering. The graphic design experts at Signs By Randy can create a banner for you with whatever design you’d like. We can use your logo on the banner as a way to advertise your business, or we can come up with a completely new and eye-catching design for you to use on your custom banner. If you have a design in mind, you can go over the details with us, and we’ll be happy to put your ideas to use on your banner. If you’re not exactly sure about how you want your banner to look, we have years of experience and can make recommendations for designs that will make a great impression on event-goers or potential customers. 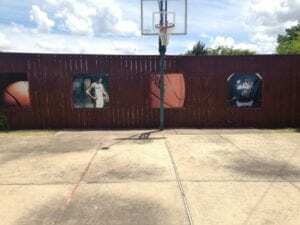 We’ll also help you choose the best style of banner to display outside your building and assist you in determining the right size. 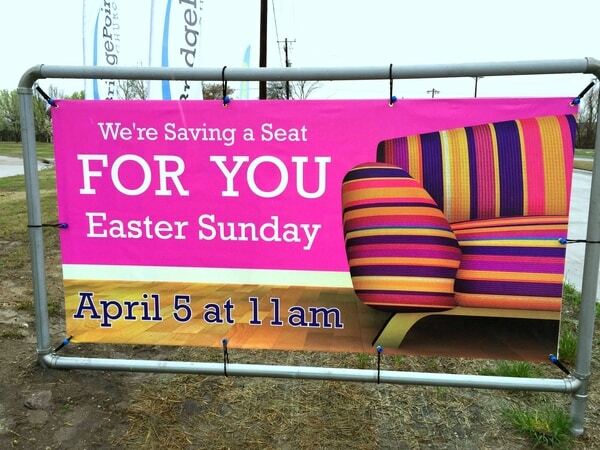 Design is just the first element of getting a custom banner for your business or organization in the Plano area. You can have the ideal design, but it won’t attract the attention you want if it’s not a high-quality print. At Signs By Randy, we have the equipment and knowledge needed to ensure superior business banner printing. When you rely on us to have custom banners made for your company, you’ll get the results you want. Our printing techniques provide sharp, clear results with words that are easy to read and images that draw the eye. Customers need to be able to read the name and contact information of your business and any other wording that appears on it. 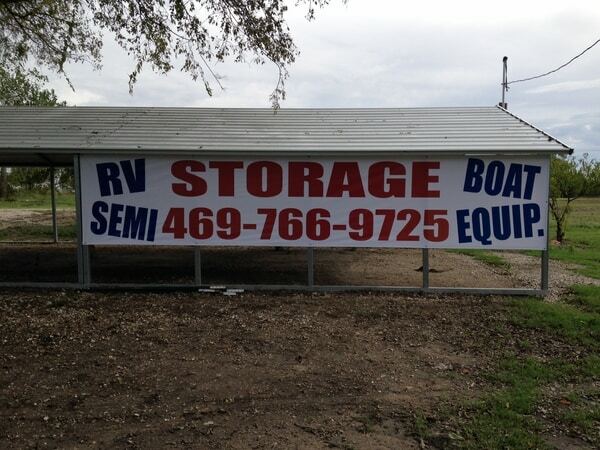 We’ll make sure that the wording on your business banner can be read, even from great distances. If you’re including your logo or any designs on your banner, you can expect the highest quality images. 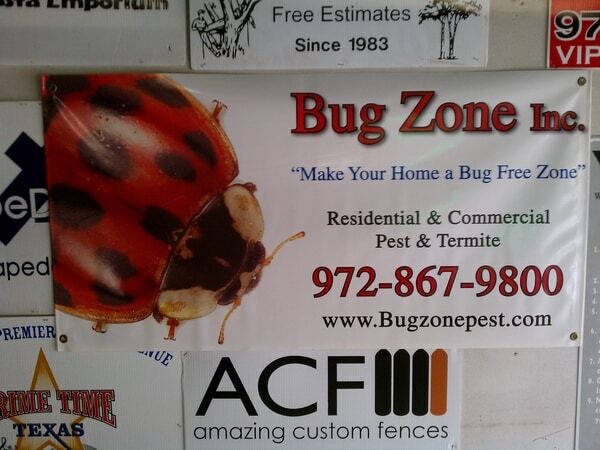 When your custom banners are designed and printed, Signs By Randy will also handle the installation process for you. 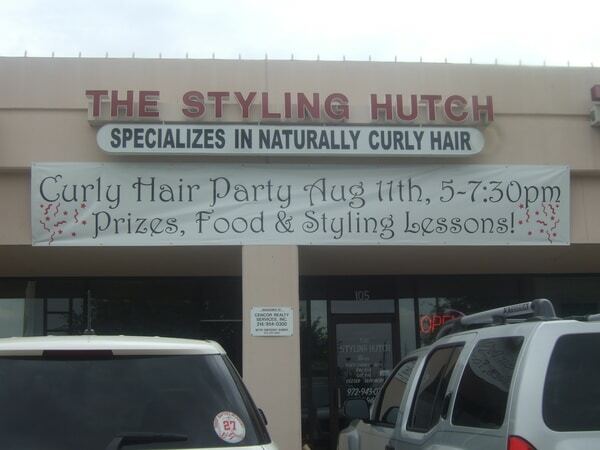 In order to boost business and attract more potential customers, your banners have to be displayed properly. If your banner is going on the front of your building to display your company’s name, it needs to be positioned correctly and securely set in place. If you want to have a banner hanging elsewhere on your property, we can take care of ensuring that it’s all set. From the design phase to the installation stage, Signs By Randy has you covered every step of the way. 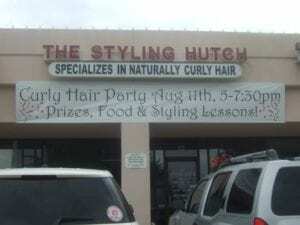 Our expertise in outdoor signage guarantees that you’ll end up having custom banners for your business or organization that get you the results you want. We look forward to helping you out with any of your custom banner needs. 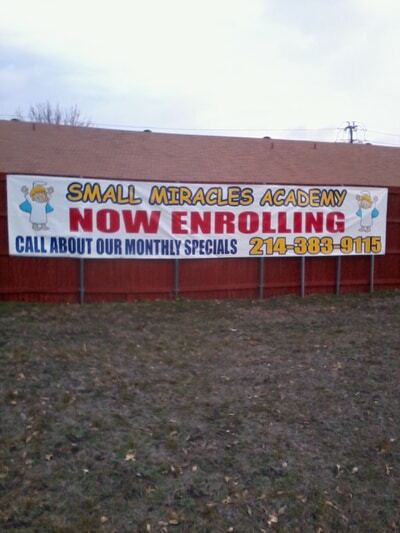 If you need more information on having banners made and installed for your property, contact Signs By Randy. We serve Plano and the surrounding area, including the cities of Allen, Frisco, Richardson, Garland, and Murphy. 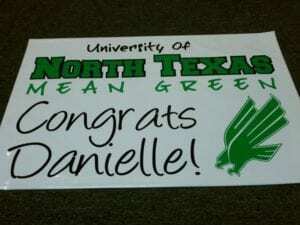 Give us a call at 972-424-6424 to get a free estimate and to let us get started on your custom banner.